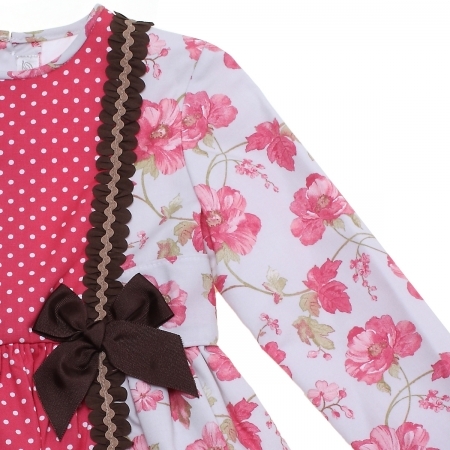 Dolce Petit Girls Fuchsia Pink Floral Dress With Polka Dots, brown lace and brown bows. 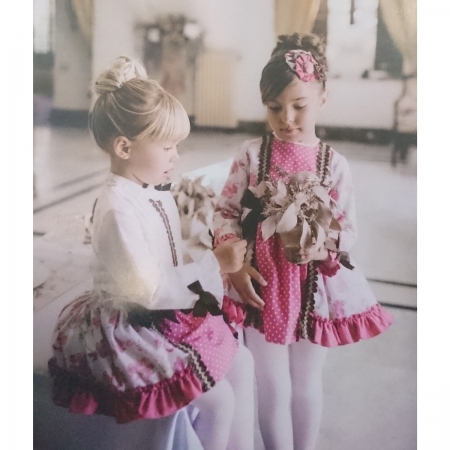 Chocolate brown lace and brown bows. Tied at rear with a bow. 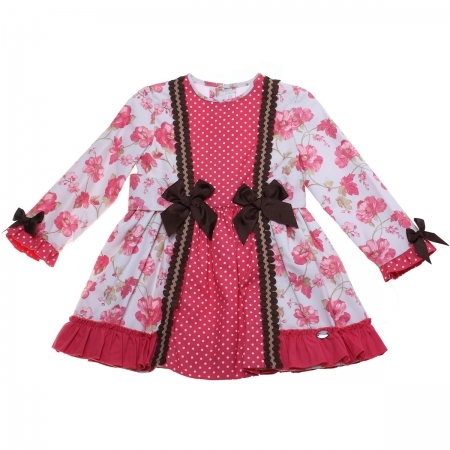 This dress is from the Dolce Petit Autumn Winter Collection. In stock now for immediate delivery. Payment plan is available on request.